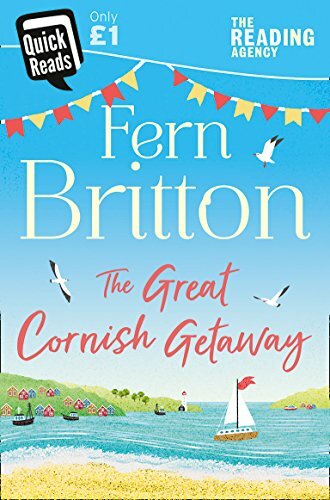 As the sun sits high in the sky over Cornwall, and the sea breeze brings a welcome relief to the residents of the seaside village of Trevay, a stranger arrives in need of a safe haven. The fact that the stranger is a Hollywood heartthrob makes villagers Penny and Dorrie even more keen to help. They both know what it’s like to feel that you need a break from life, and they bring the village together to keep their stranger’s secret. It’s not long before he’s helping some of the villagers find the answers to their own problems. In return, they find a place for him in their hearts. Review: I do love a Quick Reads book; they are such a good idea for encouraging new readers or perhaps for those with not a lot of time for reading to enjoy stories from established authors. 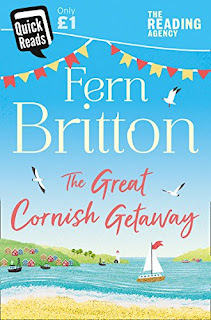 When I saw that the latest batch of Quick Reads included this one from Fern Britton, I looked forward to reading it, as I have not actually read any of her work so far. I was not sure what to expect, but was quickly immersed in the story. The setting is the little Cornish seaside village of Trevay and the story harks back to one of Fern's earlier novels, A Seaside Affair. The person doing the getting away is a well known Hollywood actor in need of a break from the demands of a hectic life. The actor in question has been to the village before, his actions on that occasion gaining him many friends there. The villagers now rally round to protect his privacy and let him experience a more 'ordinary' lifestyle for a while. I found this a most enjoyable, if not entirely believable, short story with some really likeable characters. It would be nice to think that people could really be as helpful and welcoming as the villagers in Trevay. It sounds an idyllic setting for anyone who enjoys a quiet holiday by the sea. 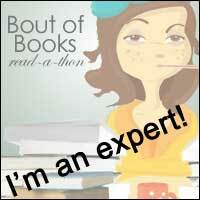 I would recommend the book itself for anyone looking for an entertaining and easy read.